One of the tools of a Magician is the Magicae Nigrae Speculum, or black magic mirror. What is most interesting about a mirror is that it reflects the environment around it in an exactly perfect manner. However, this replication of the image can vary. With a black mirror, this variance is intentionally skewed according to the convex measurements of the surface, and the quality of the glass or stone of which it is composed. A convex surface naturally distorts the image according to certain parameters; while the glass itself is very dark, and thus it lends a black or dim quality to whatever is perceived. Symbolically, we have the natural world, Assiah or rather the Earth element all around us; and so this is reflected by Water, the emotional world. A mirror is a type of Water inasmuch as it is reflective. In the shadowy realm of the intentionally distorted black mirror, the surface lends a Kellipotic quality to the image. In modern practise, the Magic Mirror is of course the first choice for many Magicians who are performing an evocation involving Goetic or other base and evil entities. Meanwhile the crystal ball is usually the first choice for scrying Angelic and other Spiritual Creatures. The nature of a plain mirror itself is interesting. The oldest mirrors are made of polished metal, and pre-date glass. The clearer the polish and the less pitted and distorted the surface, the better the reflection of the true image around oneself. This metaphor is taken further in "The Bezels of Wisdom" by Ibn al Arabi, a Sufi (Gnostic) Muslim, where Sun, used as an image of The Most High, is attributed to the reflected light of Allah upon the mirror of the soul. It may seem strange to the beginner to bring up Arabian magic, but in fact, most of the magic in The Golden Dawn, such as the Kameas, Geomancy, and possibly scrying (the last is implied and not proven) has all come to us from Arab and later Muslim sources. This connection is something which we should all be proud to recognise, as during the dark ages, the Arabs were the caretakers of the Neo-platonic knowledge while most of Europe was illiterate and ignorant. We are literally indebted to them for this service. Modern Magician's intentionally use a black mirror to work with the darker entities, inasmuch as this is under Divine or Angelic control, seems to have a remedial effect upon the soul. The evocation may be done by any magician who has the ability to pick up the necessary skills through repetition; but like any endeavour, it is a special person that can make even his or her most mundane experiences a lesson in personal growth. The best of us will not focus only on ourselves, but rather take altruistic care for others, such as offering friendship, a kind ear, or even in offering healing; even if it is not of a medical nature, but rather in the form of an empathetic demeanor. However, the danger in magic as a skill, rather than as additionally as a transformative process, is that many of us cannot see the mirror operating in ourselves. We can be well skilled in magical practice, we can be knowledgeable, but if we do not endeavour to Gnothi Seauton, which is Greek for "Know Thyself", there is little by way of spiritual substance or maturity to a Magician. There is a well-known metaphor in modern parlance about mirrors that may have been recently used in psychology, but it has been adapted from much older observations, such as al Arabi above. It is upon the nature of the soul. "Ah, Mr. Waite, the world of magic is a mirror, wherein he who sees muck, is muck." Congrats to the HOGD on their big event. 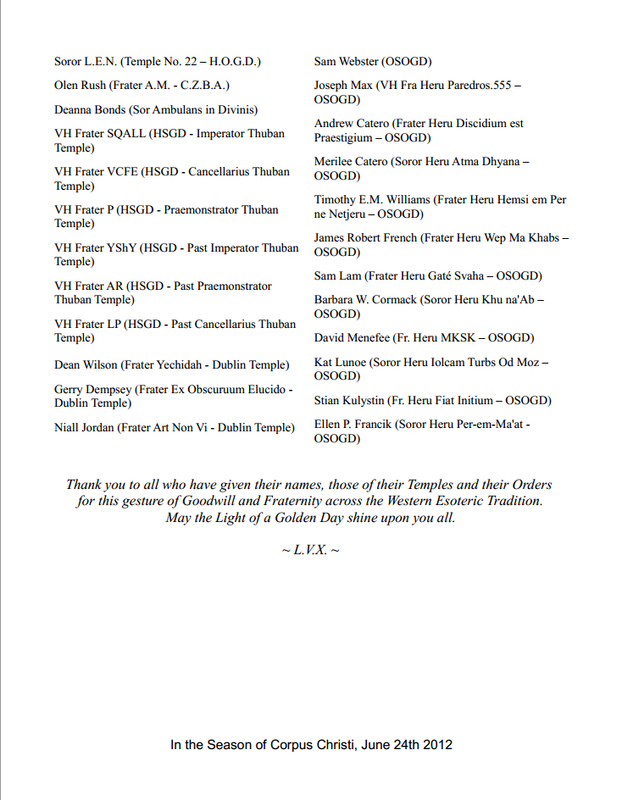 This "birthday e-card" below went around over the last few weeks to most of the GD and other Orders who are "fraternal" or rather co-ed "societal" with each other, as well as to authors and individuals of note, not all of whom are GD. 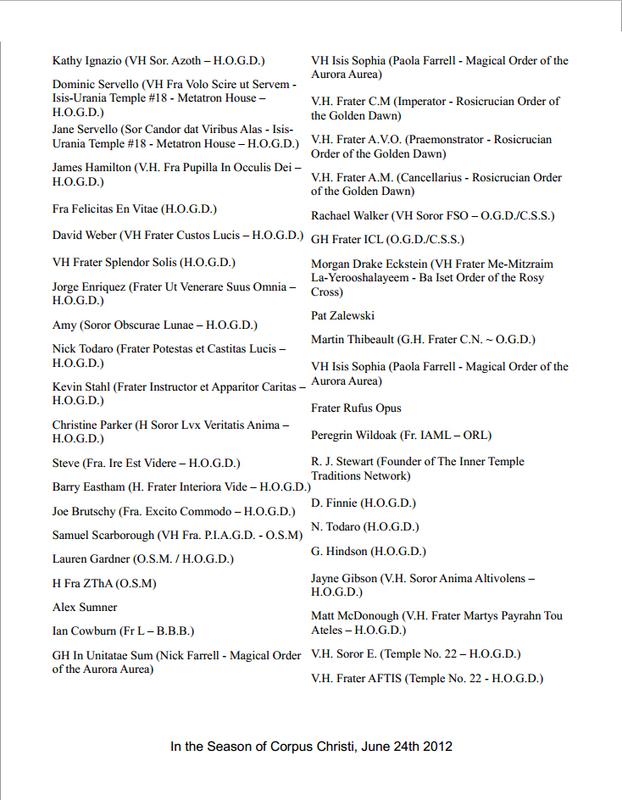 Because of the distance from the States, our Temple (www.thubantemple.com) do not get to meet a lot of people face to face as often as some of the American temples and Orders; but we sure do correspond online whenever possible, and when we do meet up, it can really be worthwhile. 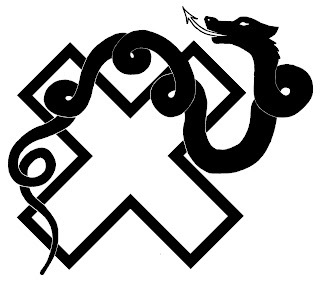 After this announcement, and the Facebook posts, the folks in our group have been sending me private emails saying how proud they are to be part of GD in general, and happy for the HOGD in their accomplishments as well. 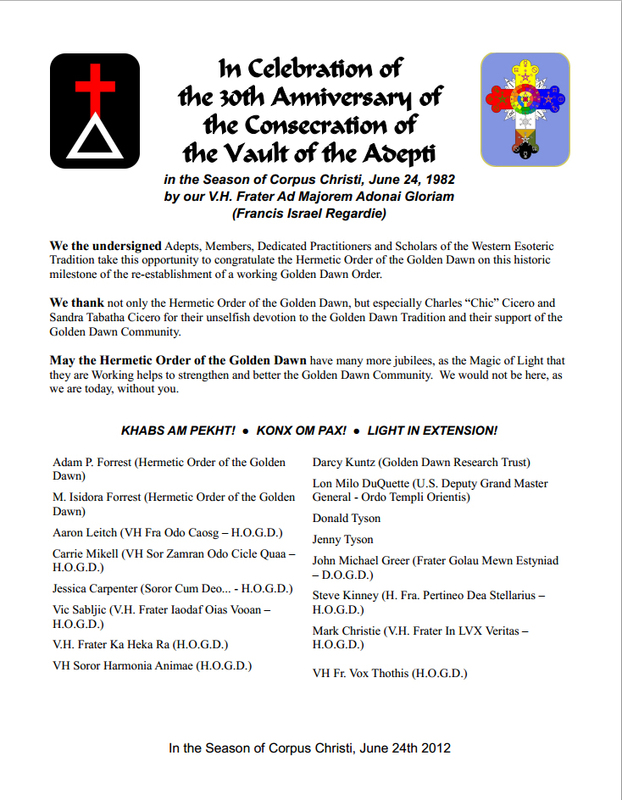 Thank you to the Cicero's and the HOGD, 30 years is a long time these days, that is way longer than the original Order ran without interruption for in Europe and the UK; you folks must be doing something right. Keep on writing and keep up The Great Work! 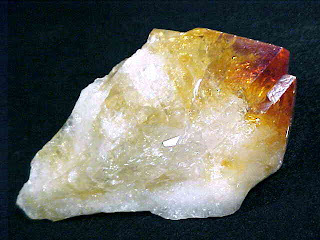 The stone citrine is actually amethyst which formed in a warm or hot environment over many years. What is often sold as citrine is actually baked amethyst, very nice, but it is most likely not the right colour. 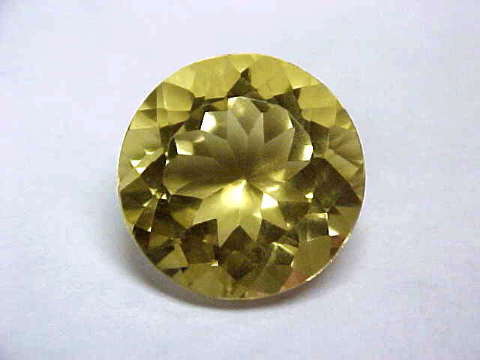 So the stone is actually a light grayish-yellow, and quite pale. 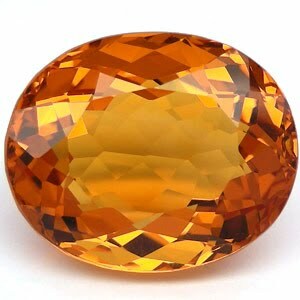 The orange we are used to seeing with a slightly caramel colour is the baked amethyst, which is essentially an artificially heat-treated stone.